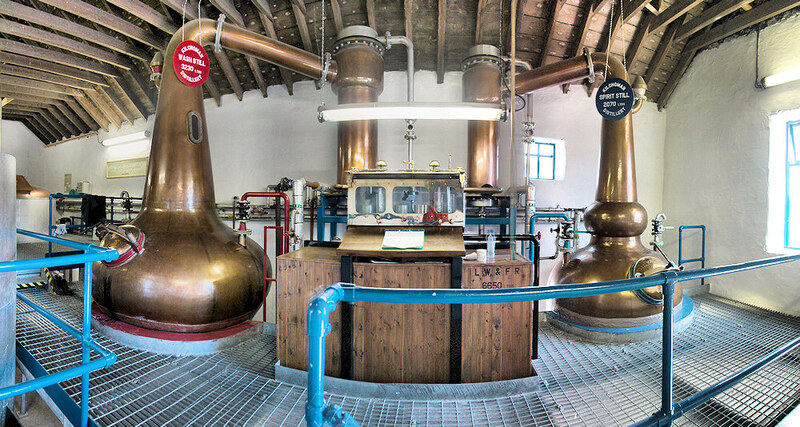 A panoramic view of the still house with the stills and the spirit safe at Kilchoman farm distillery, Islay’s youngest and smallest distillery. This entry was posted in Distilleries, Repost, Sunny Weather and tagged Islay, Kilchoman by Armin Grewe. Bookmark the permalink.